Listeners, Send In Your 'Three-Minute Fiction' Last week, NPR launched a summer fiction contest called "Three-Minute Fiction." The idea is simple: Listeners should send in original pieces of fiction that can be read in three minutes or less. So far, listeners have written more than 1,300 stories. The winning stories will be read on the air. Last week, NPR launched a summer fiction contest called "Three-Minute Fiction." The idea is simple: Listeners should send in original pieces of fiction that can be read in three minutes or less. So far, listeners have written more than 1,300 stories. The winning stories will be read on the air. …about the time it takes to poach an egg. RAZ: Or just a bit longer than it took a horse to rally from behind and steal the Kentucky Derby. Unidentified Man: Mine That Bird has won the Kentucky Derby, an impossible result here. RAZ: Keep those stories to three minutes or less, that's about 500 words or so. The New Yorker's literary critic, James Wood, will judge the entries. To send in your story, visit us at npr.org/threeminutefiction. That's threeminutefiction, all spelled out with no spaces. We'll read the winning stories on the air. We are no longer accepting submissions for this round of our Three-Minute Fiction contest. Thanks for the thousands of submissions, and keep checking back — we'll keep reading and posting our favorites through the summer! "For Sixty Cents" is a terse story, just over 200 words, that brings a moment in a Brooklyn coffee shop to life. It's fragmentary and suggestive, like the pieces Wood expects to hear from listeners. "For Sixty Cents" by Lydia Davis. Copyright Lydia Davis. The story was originally published in Varieties of Disturbance by Lydia Davis (Farrar, Straus & Giroux, 2007) and will also appear in The Collected Stories of Lydia Davis to be published in October 2009 by Farrar, Straus & Giroux. 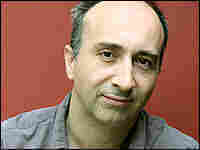 James Wood has been a staff writer and book critic at The New Yorker since 2007. He was the chief literary critic at the Guardian in London from 1992 to 1995 and a senior editor at The New Republic from 1995 to 2007. His critical essays have been collected in two volumes: The Broken Estate: Essays on Literature and Belief (1999) and The Irresponsible Self: On Laughter and the Novel (2004), which was a finalist for the National Book Critics Circle Award. 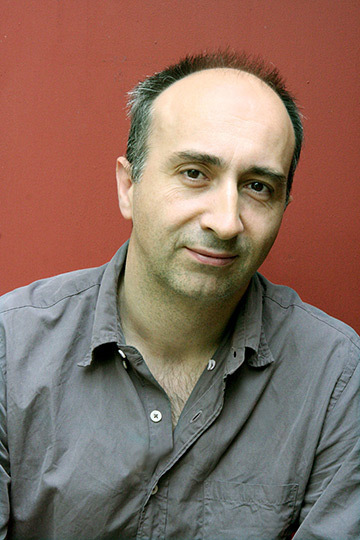 He is also the author of a novel, The Book Against God (2003), and a study of technique in the novel, How Fiction Works (2008). He lives in Boston and teaches half-time at Harvard University, where he is professor of the practice of literary criticism. At NPR, we love to hear, and tell, your real-life stories every day. Now, we want to hear your fiction as well. Wood tells NPR's Guy Raz that writing a 500-word story "strikes at the very heart of the short story as a project, which is to get something going rapidly." Writing three-minute fiction is good practice. Think, he says, of the masters of the short story, like Anton Chekhov, who began his career writing comic squibs for newspapers. "This is something that interests all writers, not just short-story writers, but novelists, too," Wood says. "How do you get a character, as it were, into a room and up and going within a sentence or two?" "One of the most effective ways to get a very short story vivid," he says, "is to think in terms of voice." Maybe the character narrates the story, for example, or perhaps the story is told within the consciousness of the character. "In other words," Wood says, "thinking in terms of the story as a dramatic monologue." Wood offers a piece by Lydia Davis to show how powerful a very brief short story can be. "For Sixty Cents" is a terse story, just over 200 words, that brings a moment in a Brooklyn coffee shop to life. It's fragmentary and suggestive, like the pieces Wood expects to hear from listeners. "I'm going to be looking at a writer's ability to suggest a world, rather than to fill it in and dot every i." Wood's reading of "For Sixty Cents" clocks in at 1 minute, 3 seconds -- proof that a good story can be told in three minutes or less. Now, lend us your imagination.